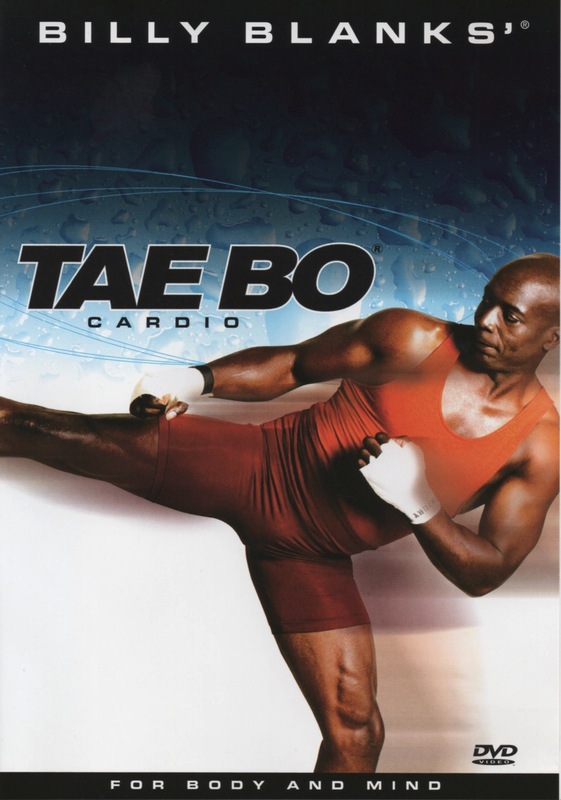 First Impression: This is how Billy Blanks shuts the refrigerator door at home. Second Impression: But he’s not allowed to turn off the lights this way, any more. This is actually the opposite of what they teach you in improv class. I was always taught to stop thinking so much because your body knows more than you do. But the point is moot. In this workout, Billy Blanks does not broach the subject of mind-body control at all. It’s some punching and kicking, while his stepdaughter Shellie helps lead the crowd. You know, the usual. Compared to the 10th Anniversary Ultimate Tae-Bo DVD, this seems calmer and tamer. Billy now takes the time to do a full warmup and cooldown, which all of my tendons appreciate. His cult-leader persona is a bit faded, having been replaced with that of an eccentric health-nut uncle. He does encourage you, in an intense close-up, to kick his hand. He holds out his hand towards the camera and urges you to aim for it with your foot. I wonder how many people obey, overcome by the power of the moment, and then abruptly cease to own a television? Billy Blanks retains his old habit of insisting that you chant out the counts of eight. If you don’t, he accuses you of being shy. Look, I’ve never felt the need to yell out the counts when I do a Billy Blanks workout, and it has nothing to do with being shy, it’s just that I think it’s dumb. Partway through the workout, sweat makes its inevitable appearance on Billy Blanks’ tank top. It is shaped like the letter B. I don’t know how he was able to accomplish this. Perhaps his mind and will are so strong that he can control his own sweat gland patterns. This entry was posted in Reviews and tagged 45 minutes, abs, calisthenics, cardio, Celebrity Host, martial arts, talky, trendy. Bookmark the permalink.